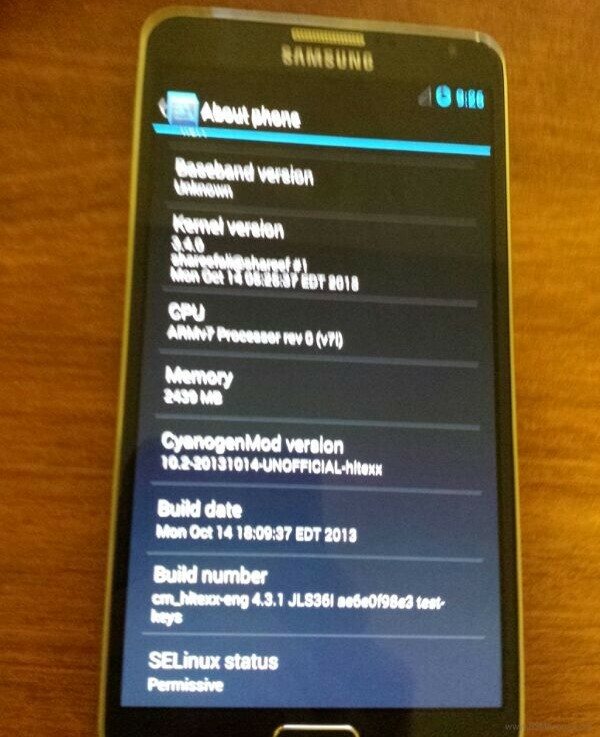 Steve Kondik, Mr. Cyanogen himself, has posted a screenshot of the new Samsung Galaxy Note 3 running the popular third party ROM CyanogenMod. While he did not provide an estimated time of when we’ll expect to see a test build ready for the public, seeing the ROM up and running on the device undoubtedly indicates that it will be sooner rather than later. Although the software features thrown in by Samsung are quite impressive on the latest Note iteration, there are many who prefer the vanilla Android experience provided by CyanogenMod. This news comes following some folks over at xda-developers figuring out how to root the Note 3, while keeping the Note 3′s KNOX security framework intact. KNOX had more than a few people worried because it permanently incremented the flash counter on the Note 3, and voided your warranty as a result. The latest developments bode well for those of us worried about some of the questionable security implementations Samsung has put into the Galaxy Note 3.